An urban environment is a challenge for excavator tyres. Nokian Armor Gard 2 has been developed especially for cities and on-road environment. It has excellent durability on tarmac and its robust carcass design enables even the most demanding excavation work to remain stable and smooth. Its new wider tread makes it an excellent and durable choice for excavators. With Armor Gard 2 the on-road transitions from one site to another are quiet and pleasant. Its precise handling is ideal even for the most demanding tasks. This tyre’s first-class stability starts a new era in excavation work. Managing Director Ville Kivelä's company Maanrakennus Kivelä Oy has tested both Nokian Armor Gard and Nokian Armor Gard 2 tyres. Kivelä says they both offer remarkable stability and economy. 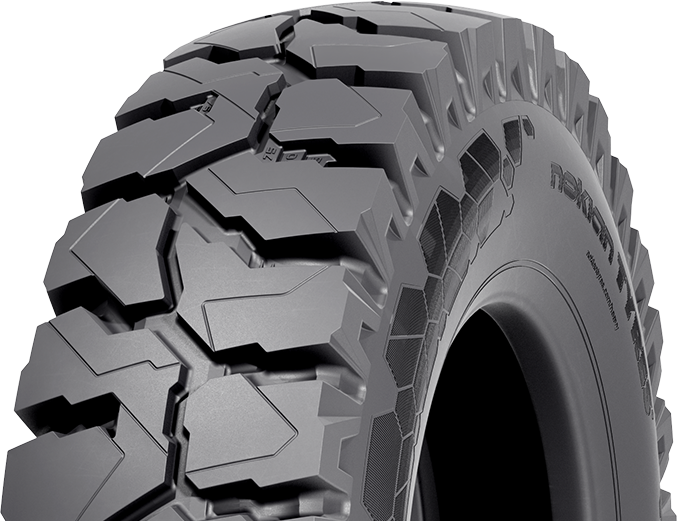 Nokian Armor Gard 2 tyres are designed especially for excavator work that requires a lot of on-road transitions. Yet Kivelä says the Nokian Armor Gard 2 impresses him off-road as well. It keeps moving steadily forward when tyres with more even block patterns get blocked up. “The Nokian Armor Gard 2 block pattern is brand new. The tyre is really on its own level.” Puncture resistance and durability are two central features Kivelä appreciates as well. Do you know your nearest dealer? With our efficient logistics, we can deliver tyres to your nearest sales point rapidly.